Day 1- I took the train at the Milano central but when I went to the station to buy the ticket they told me that they sold all the second class tickets so I had to buy a first class ticket. The train had some delay so they gave the passengers from the first class breakfast. 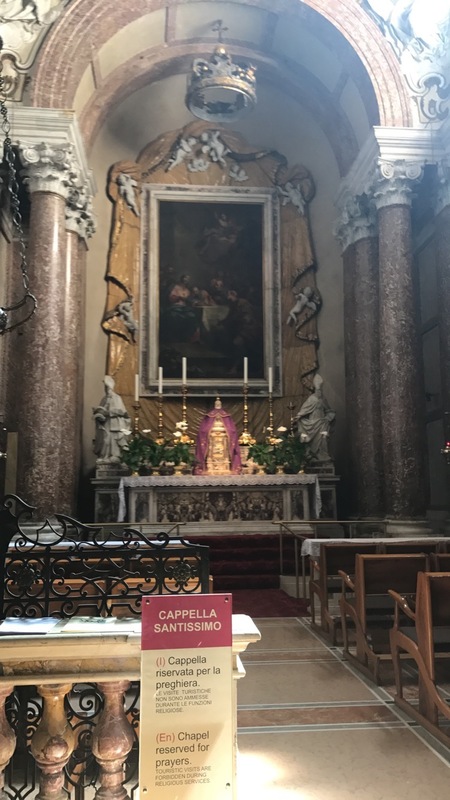 I really felt the difference between the second and first class, in Italy the seats were way more comfortable, in the first class and they even had air conditioning. After a couple of hours I arrived, the thing is I had no idea how to go to the apartment (for this city I decided to get a single room all to myself). I asked the staff from the train station if they knew which bus I had to take to get to the apartment, but they weren't very helpful, so I asked the bus drivers. So a few hours later I took the bus but I was so distracted that I missed my stop, so I had to walk back. I left my backpack at the apartment and went to the city. I had lunch at a little bistro. Later I decided to buy a map and went exploring, believe me maps are really not my strength. 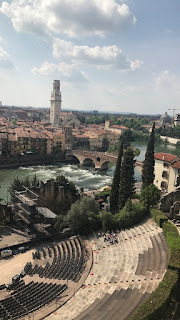 Verona was the city at which I did most activities, I visited a lot of museums and churches. 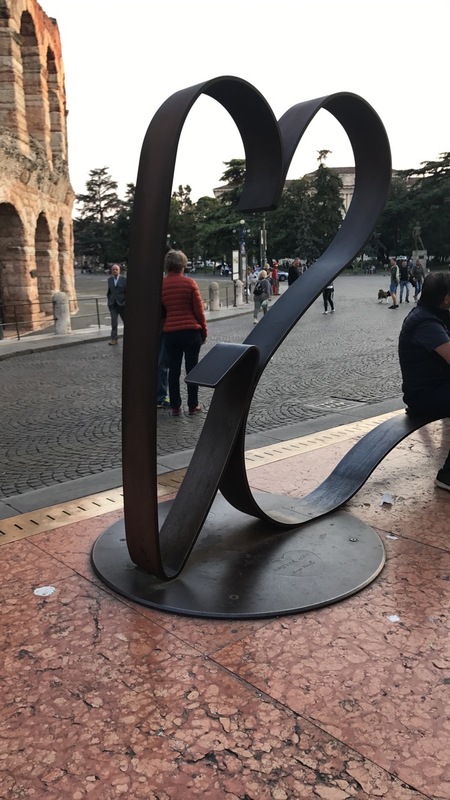 Mostly because of the Verona card, a lot of the museums were free. 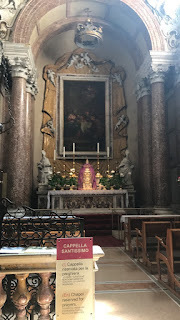 The first day I visited the Chiesa di San Fermo Maggiore, it is a really beautiful church, then I went to the Teatro Romano e Museo Archeologico, I was fun and it has a really great view for pictures. 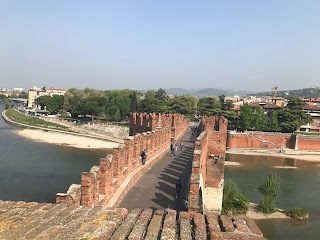 I walked near the river and took some pictures and saw some of the famous bridges of Verona. After all that walking I sat at a café terrace and had a drink. Later on I ate a vegan pizza and went home. I relaxed for hours and then went to sleep just after my face mask and my attempt to dye my hair purple. 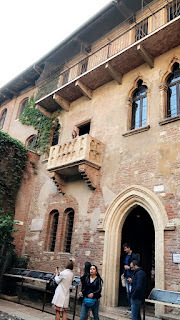 Day 2- I got up early, because I wanted to visit Juliet's house and I knew it would be crowded. 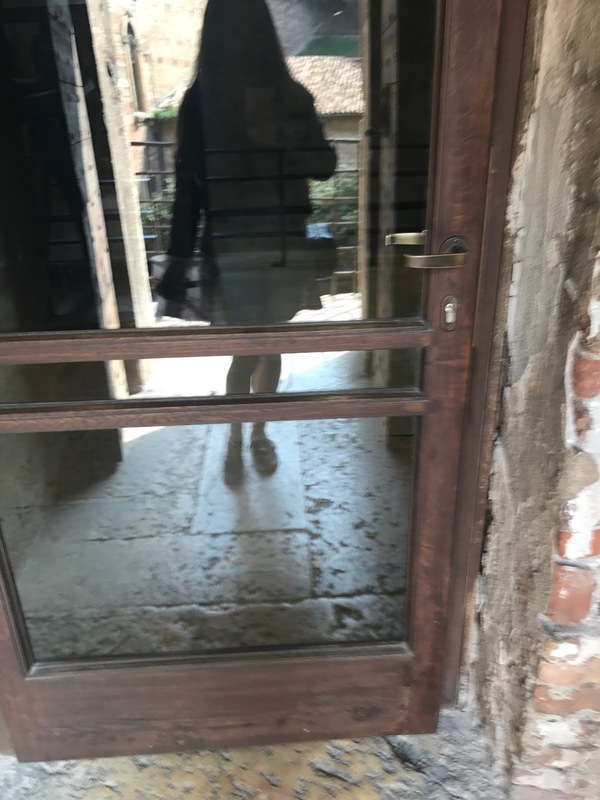 Then, I went to a castle and took lots of pictures with my selfie stick 😂. I went to a really high tower and enjoyed the view for a few minutes, it was so relaxing. 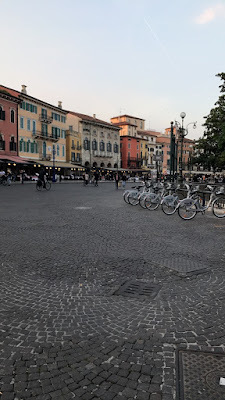 I ate at an amazing restaurant next to the Verona Arena, the food was really amazing and not that pricy. I looked for Juliet's tomb for hours, and I was so disappointed I was expecting something more elaborated I guess. After a long walk I finally came across the Palazzo Giardino Guisti , a really beautiful garden, it was worth the walk the pictures I took there were astounding. I went shopping for a while and then I got home to relax, all that walking really exhausted me, and around diner time I realized there was an amazing mall just next door, so I went there and bought something to eat and shopped a little more. 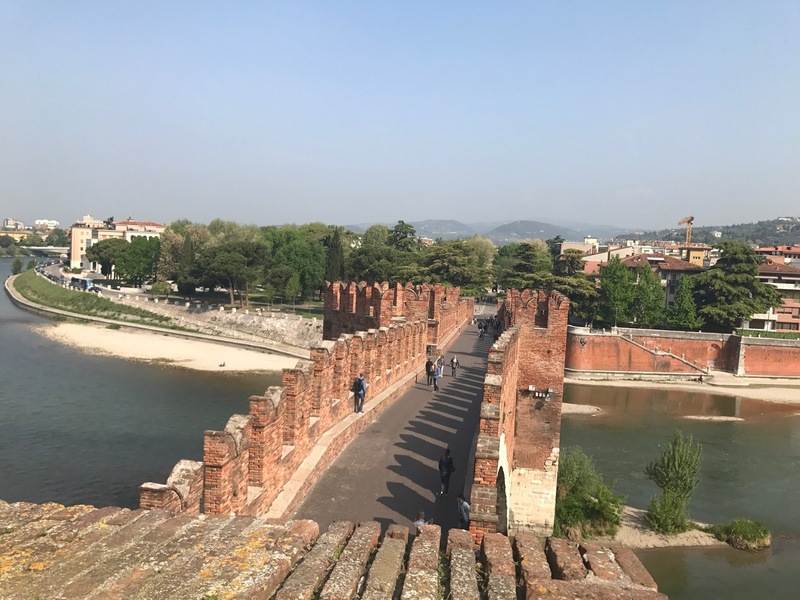 Verona was one of my favorite cities of Italy, I found it so romantic and idk this city makes me believe in fairytales even been wanting to visit this city since I heard about the tragic love story of Romeo and Juliet. I guess I love this city so much because of Shakespeare, I'm a romantic. beautiful post! you really made me want to visit Verona! 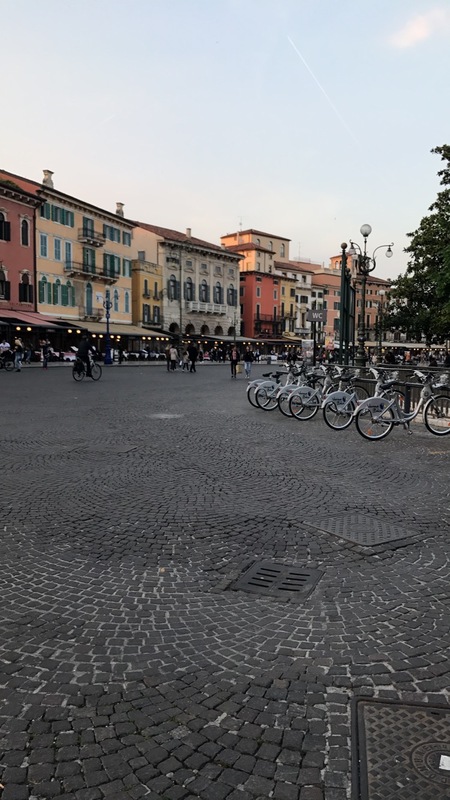 Adorava visitar Verona, Itália é um país de sonho e em Janeiro vou poder visitar Roma! !